Is your website converting customers as often as it should? Do your users tend to stick around? If not, it's time to review your online presence and see what you can do to make improvements. First of all, you need to identify your key online objectives. Your website and social media pages might be geared towards generating leads or increasing conversions. And/Or you're hoping to draw in repeat business or streamline processes so that customers are more satisfied. Whatever you're trying to achieve, you won't be able to unless you have a firm idea of your objectives. Traffic: How many hits does your website receive each day? If you could do with more, it's time to think about your search engine optimisation (SEO) strategy or consider upping your content strategies. If plenty of people land on your homepage but rarely stay for longer than a few seconds, it might be time to think about revamping your websites layout, images and copy. Analytics: Tools such as Google Analytics can help you transform your online presence by showing you where your strengths and weakness lie. 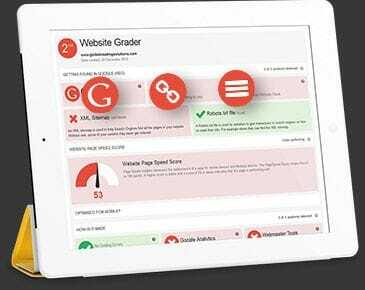 By tracking and analysing behaviour on your website, you can see which pages put customers off and find out which areas of your website need work. Find the areas you want to improve then set yourself some goals for the year ahead, checking your progress monthly. You don't know what you don't know unless you do know. This tool is free, and easy to be included with your website. Email Campaigns: The beginning of the year is also a good time to plan ahead when it comes to your campaign schedule. Consider all of the time-sensitive client communications you could automate for the months ahead and look for opportunities to encourage repeat business. Think of ways to reward loyal customers and share your best deals online. Many strategies can be set up to automatically to go out for you such as happy birthday messages, welcome new clients, reminders etc. Makeovers: Take a good look at your website and ask yourself whether it truly reflects your business and its ethos. Is it modern enough? Is all of the information accurate? Giving your site a much-needed makeover could save you a lot of money in lost revenue. It's also essential to ensure your website stays fresh and up to date, so even if you don't know exactly what new designs you'll be implementing throughout the year, make a note on your calendar for an update. That is the great advantage you get with a Bloomtools website, is that is all you ever need to do to keep your website fresh - as we are always keeping all the technology behind your website at the latest and greatest for you. To ensure your online presence is all that it should be, you want to make sure you're paying attention to your personal development too. Learn more about what you could be doing online and how to boost your brand with the help of relevant webinars and online classes. If you're already a Bloomtools client, a strategy session with your consultant could be just what's needed to whip your online presence into shape. If you're not a client yet, then request a website evaluation and see where you could use some help.